Maxim Trudolyubov, Senior Fellow with the Kennan Institute and editor-at-large with Vedomosti, has been following Russian economy and politics since the late 1990s. He has served as an opinion page editor for Vedomosti and editor and correspondent for the newspaper Kapital. While president Vladimir Putin keeps receiving credit for swinging the U.S. election for Trump, a supposedly trouble-proof political machine malfunction is taking place at home. Four regions that held gubernatorial elections in September have just voted the Kremlin’s candidates down. On top of that, on Wednesday Putin changed three more heads of regions, disrupting the pattern of appointing “young technocrats” that political analysts saw emerging after Putin embarked on his fourth term as president. The logic behind his new appointments is, once more, based on security concerns. For years, Russia’s regional elections have been highly orchestrated affairs that were not expected to produce any surprises. The Kremlin managers would train a candidate and parachute him or her to the region in question. Moscow political operatives would arrange for a number of designated understudies to play the roles of opposing candidates. The chosen candidate would then run a swift campaign and win in a landslide. The opponents would readily concede defeat and, having been generously rewarded, go back to minding their own business. Everyone was happy, and the scheme worked hundreds of times-until it suddenly didn’t. In an unexpected act of defiance, the voters of the Far East (Primorsky and Khabarovsky Krais), the regions of Khakassia, and Vladimirskaya oblast refused to play this well-familiar game. Upset by a recent measure to increase the age of retirement and a number of new proposed taxes, voters decided to do the only thing they could conceivably do in a controlled election-obstruct it. They showed up in droves and voted heavily for anyone who stood the chance of tipping the balance against the Kremlin-preferred candidate. To be sure, the Kremlin did not “lose” those elections in the proper sense of the word. Whoever won, United Russia or not, was approved by the Kremlin in the first place. The only loss was that of Putin’s standing as the indispensable source of political legitimacy. It used to be the iron law of any Russian election throughout most of Putin’s time in office: a candidate supported by him would go on to get the most votes. This time it did not work that way. The Kremlin’s political machine malfunctioned in just four regions out of 26 that held elections this September (a rerun is pending in Primorye, a runoff in Khakassia is expected next week). Still, it has become major political news in Russia precisely because the Kremlin has invested so much in making sure the elections proceed smoothly. The people who are “winning” elections are selected in an opaque but rigorous process operated by top Kremlin officials. Journalists and pundits compete in trying to guess what the current screening rules might be. For a long time, the rule of thumb was that the main principle of elections was the absence of principles: people would buy elected office or be appointed as a result of dealings between powerful clans. The family of Kovalchuks, the group behind the Rotebergs, Gazprom management, and the Russian Railways empire would each have a governorship or two. Then, around 2016, a number of men with military or intelligence backgrounds were appointed and then duly “elected” governors. A streak of punditry immediately ran through Russian and international media, suggesting that Putin was so desperate for loyalty that he took to literally appointing bodyguards as high officials. But soon the pattern changed, and we had a line of relatively young economists and lawyers appointed as governors. Political analysts saw a new class of technocrats emerging in Russia. Apparently, Putin no longer needed loyalty for the sake of loyalty and wanted long-term reliability and expertise instead. “The system needs to be rejigged in a way that makes it capable of running on its own, without him but on the track he has determined,” the political scientist Tatyana Stanovaya said in an interview earlier this year. If the new generation comes to dominate, “Russia would be a country governed by McKinsey consultants who are loyal to Putin and will preserve his policies once he is gone,” Ivan Krastev and Gleb Pavlovsky were quoted as saying this March. The latest electoral mishap suggests that the Kremlin may not be able to fill all the important positions with “McKinsey consultants:” one can no longer be sure that even a highly controlled electoral procedure will produce the desired result. Right now, at least two regions (and possibly more) have received governors who are neither “bodyguards” nor “young technocrats.” It is unclear who they are because they were understudies selected to play the roles of oppositional candidates and were never meant to be governors. During this very writing, the Kremlin has announced three changes in the gubernatorial ranks. Putin appointed a little-known bureaucrat with a background in security to be the acting governor of the Arkhangelsk oblast. Primorye and Kabardino-Balkar republic received new acting governors who are both local functionaries loyal to the Kremlin. Two more appointments are said to be on their way. If there is any logic behind the Kremlin’s appointments, it has now been reversed from being based on developmental and meritocratic motives to solely on loyalty and security. There is an endless argument between those who seek consistent logic behind the Kremlin appointments and those who think these decisions are often ad hoc and potential products of squabbles between various Kremlin factions. It is not unlike the argument between the proponents of intelligent design and Darwinists. Commentators close to the Kremlin continually support the theory of intelligent design, openly admitting Russia’s lack of democratic choice. 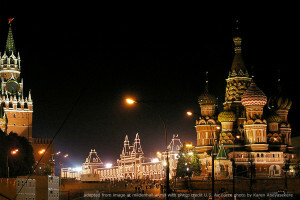 “The Kremlin’s cadre policies do not depend on whether the candidate wins or loses an election. It is a win or a loss in a regional election that depends on the Kremlin’s personnel decisions,” the director of the Center for Current Policy Alexey Chesnakov said in an interview. If the Kremlin policymakers do think this way, they are not helping themselves. The four electoral losses they suffered recently could be inconspicuous news were it not for the Kremlin’s obsession with the smooth procedures it calls elections. The irony of running a carefully managed democracy is that the tighter you control an electoral system, the bigger splash you create by making even a small lapse.